Recorded at Johnny Cash's former recording studio in Henderson, Tennessee, the five-piece acoustic band, Della Mae's first album balances roots influences with contemporary sensibilities. Produced by flatpicking guitar master, Bryan Sutton, the playing on This World Oft Can Be is impeccably tight without sounding rote or overly rehearsed. That's because everyone in the band has great chops. I've watched Della Mae's guitarist, Courtney Hartman, playing at jams at RockyGrass Academy. She can shred with the best of them. The band's fresh and guileless multi-part vocals also add to their music's momentum and energy. 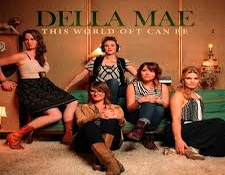 If you like modern acoustic music Della Mae will check all your boxes. 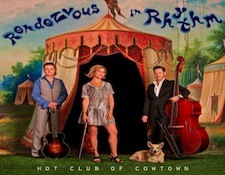 The Austin, Texas-based trio, Hot Club of Cowtown, have specialized in acoustic swing since they formed in 1997. Their previous albums concentrated on Western swing, but for their latest the band focused their musical attention of Gypsy Jazz and French Swing. Their versions of Django Reinhardt and Stephane Grappelli's "Minor Swing, and "Douce Ambiance" are guaranteed to get you swinging, even if it's only from side to side in your favorite listening chair. The overall sonics are excellent with just the right amount of ambience and room sound so each of the three principal instruments, fiddle, guitar, and acoustic bass, have equal emphasis. Dr. Ralph Stanley has been Don Rigsby's idol ever since Rigsby's sixth birthday when his parents took him to the Paramount Theater to see Stanley's show. Since then Rigby has gone on to become a well-respected mandolin player and lead vocalist. He's played in J. D. Crowe's New South and Lonesome River Band as well as releasing five solo albums. 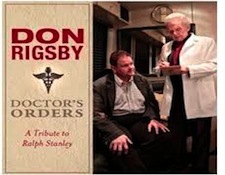 For his latest solo release Rigsby chose songs from Dr. Stanley's traditional repertoire. Stanley makes cameo vocal appearances on several of the fourteen songs, but the real star here is Rigsby's ability to render Stanley's songs in a direct manner that emphasizes each song's power and presence. Rebecca Frazier's voice is a nearly perfect bluegrass instrument - both powerful and delicate. She also happens to be a fine songwriter, as demonstrated by the nine original songs on When We Fall. Joined by her husband John Frazier on mandolin, Scott Vestal and Ron Block on banjo, Shadd Cobb on fiddle, Andy Hall on Dobro, and Ron Bales on bass, Frazier handles all the guitar parts herself. She is a monster flatpicker, with a crisp clean attack and superb timing. Her playing on the instrumental "Clifftop" will make most guitarists envious. 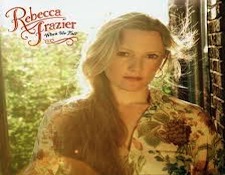 When Frazier's last band, Hit and Run Bluegrass, disbanded I was bummed, but Rebecca Frazier's return to recording and hopefully touring should bring a smile to anyone who appreciates fine picking and singing. 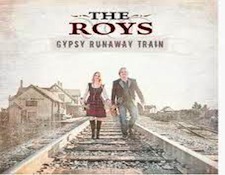 For their third release the brother-sister duo, The Roys, further refine their special brand of bluegrass. Lead by their perfectly in-synch dual lead vocals, sophisticated arrangements and well-constructed original songs, the Roys have a smoother and more urbane edge to their music than most "traditional" bluegrass bands. Co-produced by Andy Leftwich, the backing band includes Cody Kilby on guitar, Randy Kohrs on dobro, Justin Moses on banjo, and Mark Fain on bass. If you know someone who likes country miusic, but complains that bluegrass is too "whiney" and rustic, the Roys' contemporary bluegrass sound may be just the thing to ease them into the fold. This concept album features turn-of-the-century songs preformed by contemporary roots, folk, and Americana artists. Produced by Paul Marsteller and Gabriel Rhodes, performers include Richard Thompson, Kimmie Rhodes, Graham Parker, Garth Hudson, Carrie Elkin, Kim Richey, Eric Bibb, Christine Collister, and Richard Green. The tunes include well-known titles, such as "Silver Dagger," "Let Me Call You Sweetheart," and " The Band Played On," as well as more obscure songs. 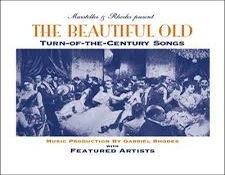 With nineteen songs, The Beautiful Old demonstrates why some songs are still with us, even after a century after they were penned.